You More Patients Thru The Door! Three Reasons To Believe What I Say Reason one: Dr. Chandler George has been researching holistic, biological medicine for the last 16 years. In addition to treating patients over the last 22 years, Dr. George consults to many doctors throughout the United States on Cold Laser therapy and other biological treatments. Dr. Chandler George also owned Med-Spa and used the internet as the driving force for all his businesses. He also co-wrote the “Productivity Path” and authored the “Internet & Social Media Marketing for Doctors” books. Now Dr. George is considered the leading authority on Internet Marketing for Doctors and the Health and Beauty industry because he has done it! Reason two: Dr. Chandler George has spent many hours, time, money, and effort learning all the in’s and out’s of internet marketing, social media marketing, email marketing, video marketing, and SEO. He has already learned the ropes and now is teaching other doctors, med-spa owners, local businesses on how to use the same tips and techniques he has in his own businesses. Reason three: Dr. Chandler George has already helped many of his clients reach their high potential and increased their cash flow many times over. He has been thru all the hardships of owning businesses and is a consultant you want on your side. He already has most of the solutions to issues that most business owners are facing or going to face. He has been there unlike many of the other Internet Marketing companies. See What is Just Around The Corner…. Check out our practice management service. Check out our Marketing department. Your staff can make or break your business! Is yours up to par? Looking for freedom from your practice? 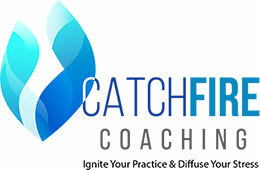 What Are They Saying About Catchfire? Click here to see what they are saying about us!